American film director and producer Oliver Stone disputed a question on whether Russian President Vladimir Putin had showed him fake news in an interview at Starmus International festival in Trondheim on Wednesday. Journalists pressed the American director on his recent documentary, ‘The Putin Interviews’, asking specifically about a sequence in which Putin shows Stone footage on an alleged Russian aircraft attack on an alleged IS position in Syria. “I researched it [the documentary], I did the best I could and I think that it proves the old adage that there are two sides of every story”, Stone said. The American director warned of the dangers of taking a “tough” approach as a journalist, thereby pushing away interviewees, arguing that “you cannot break the news into black and white”. I think it would be good if people could think about this a bit more! Our second stop on the way back from Ballina, Victoria, was at Gundagai, NSW, Then started the long, boring drive to Goulburn. This stretch of road is less than 200 km, but as I said, it is absolutely boring! I had trouble getting a station into the radio that was close enough to listen to without disturbances. Finally I found an ABC News station. The woman News reader had what sounded to me a wonderful clear voice, . I had just started listening to her, when she said something about Nato exercises in Romania.. I asked Peter, who was sitting beside me and was driving, could he hear these news. He couldn’t. I asked, did he have his hearing aid switched on. Yes, it was on. So I thought I’d have to turn it up a bit more so he could understand what was being said on the news. It turned out, he did not want to listen to this ‘terrible’ voice. HE JUST DID NOT LIKE THIS VOICE. Before I was able to turn the volume down, he SCREAMED at me, It was such a big scream. It made me feel absolutely devastated. Not only did I find it hard to cope with this news about Nato but on top of it I found myself blasted with this enormous screaming. How on earth would I relax now? I just did not feel like sitting in the front of the car any more, eyes open all the time, not being able to listen to the radio, not being able to talk to Peter. Later on we found a station with some country music. Of course I switched the radio off immediately when Peter screamed at me so horribly. I never dared to turn it on again on the whole way back to Dapto. I have been concerned for a long time about what is going on with NATO in Europe. None the less, I cannot help getting more and more concerned. Just now I googled “Nato Exercises in Romania”. Voila, there were about ten different publications about it! These entries are from different sources all dated from recent weeks. 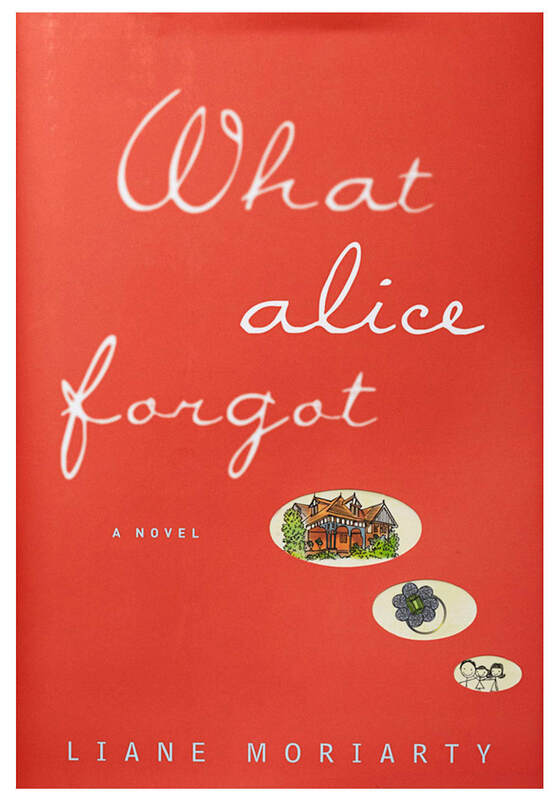 In the review it was said that the novel “What Alice Forgot” is going to be made into a movie to be released in 2017. I have already read this novel and I do hope that I soon may be able to see this movie, when it comes out this year. Clementine is haunted by regret. It was just a barbeque. They didn’t even know their hosts that well, they were friends of friends. They could so easily have said no. But she and her husband Sam said yes, and now they can never change what they did and didn’t do that Sunday afternoon. Six responsible adults. Three cute kids. One playful dog. It’s an ordinary weekend in the suburbs. What could possibly go wrong? In both books by Liane Moriarty that I have read so far, Liane depicts people that live in contemporary Sydney. What she writes about the characters’ Australian lifestyle seems very true to me. It makes me think about the way we live and what our priorities are. I am quite a bit older now than most of Liane’s characters. And I am a migrant to Australia who settled here nearly sixty years ago. As migrants my family had overall somewhat different lifestyle experiences from Liane’s characters on the North shore of Sydney. Still, a lot of the problems she describes in her books, problems that families may come up with, seem to be universal. I think the author herself is a young married woman with two young children. She would know first hand how demanding but also joyful marriage and the raising of young children usually is. Often in a young marriage there is a lack of time to do the things together that bind together. And all too often the stresses of modern life may lead to divorce and great upheaval for the children. I, Uta, have already read the book and agree, that it is “infectiously good” and that this novel may be in my head months after I have finished reading it. So I am here going to copy what was published last year in the Huffington Post about this book “What Alice Forgot” by Australian author Liane Moriarty. This copied review was written by Julia Naughton. While reading this book, I thought all the time that it is very suitable for being made into a movie. I hope, I’ll soon have a chance to see the movie. ​The anticipation of waiting for the film release of a book you cherish can sometimes be too much. What if they cast the protagonist with an actor you hate? Or worse, they change the ending? Blame it on the two-hour time limit or the soulless pursuit of box office cred, changing the plot happens all the time and sometimes, it’s really not fair. The good news? These books are not only qualified to be on your cherished list, but you’ll only have to wait a few months for the movie, one year at most. Sadly, we can’t vouch for how true they’ll stay to the book, but as far as we can tell, the actors already confirmed get our tick of approval. Imagine if you woke up one day only to realise you’d lost a big chunk of your memory from the past decade? Set in Sydney’s Northern Beaches, Liane Moriarty’s What Alice Forgot centres around Alice, whose last memory was being pregnant with her first child and completely head over heels in love with her husband, Nick. Now, years later Nick looks at her with disdain, she’s lost contact with her sister (who is going through her own infertility struggles) and is lost as to where it all went wrong. With hopeful vulnerability, Alice, who is living in the mind of her 29-year-old self surprises her husband, kids and later, even herself as she desperately tries to salvage her marriage. Infectiously good, this novel will be in your head months after you’ve finished it. There is a video that was taken in the Volkspark am Weinberg. We had arrived on Saturday, the 4th of June. Ilse’s sons had come to Tegel-Airport to pick us up and drive us with all our luggage to our apartment in Rubensstrasse. It was so good to have the two cars waiting for us. Klaudia as well as Ilse and Finn had also come along and we took off on the Autobahn that took us from the airport to our apartment in just a few minutes! Once we were settled in our apartment, we were given huge amounts of food, especially Ilse and Finn had brought a lot of food along. So all of us stayed together for quite a while, talking about lots of things and having a nice meal. Strangely enough we did not feel too tired to go out to the Brandenburg Gate after our Berlin family had left us. So it was the five of us from Australia, namely Martin, Caroline, Matthew, Peter and me, exploring Berlin on our own on our first day in Berlin after we had only just arrived after our very long trip all the way from Australia. The following morning we went out for breakfast. Die “Wolke” was just around the corner. They were doing pretty good business on a Sunday morning. We noticed a constant stream of customers. So we had a good breakfast sitting down in the Wolke Cafe. I seem not to have taken any pictures from that afternoon we spent near Brandenburg Gate (Brandenburger Tor) and where we had gone to by public transport. But on Sunday the five of us did – also by public transport – go to Alexander Platz and from there on the U-Bahn to Rosenthaler Platz to meet my niece Corinna and her son Carlos for lunch. Peter and I found the music quite electrifying. It reminded us of old times and the swing music that we used to like. During the 1950s, when we would often go dancing, swing was still quite popular.On that Sunday afternoon in the park inspired by the music Peter and I actually tried a little bit of dancing of our own. To our amusement, somebody videoed us while we were doing this! (See video at the beginning of page) We found this absolutely hilarious. Later on we watched for quite some time the dancing of the very young people. They seemed quite familiar with this type of dance music and danced very well indeed. A lot of these young people had dressed up in the 1940s style. There was even one young guy who had dressed in something that reminded us of the post WWII period when the young Americans of our occupation forces looked in their uniforms a bit like this guy did. Quite amazing! Quite a few years ago this place used to be a cinema. Now it is a cafe with lots of books for customers to read. Yes, this picture is taken by me, also at Alexander Platz. The five of us had arrived from Australia only the day before! After our first night at the apartment we all went to a nearby baker for breakfast. We talked the other day about what had been available there for breakfast. One very memorable thing were the bread rolls with fresh raw minced meat! I think we had an early breakfast at The WOLKE, WHICH WAS A BAKERY and also a coffee shop. Later on we went by S-Bahn from Bahnhof Friedenau to Alexander Platz. Did we have a Curry wurst at Alexander Platz? We definitely had something to eat and a drink. Then we went by U-Bahn to Rosenthaler Platz where we met my niece Corinna and her son Carlos. So, we went with them on a tour of the neighbourhood. This district, called Prenzlauer Berg, is popular with tourists. Actually, this is the district, where Corinna went with all of us to have coffee in that converted cinema. Before that we went with Corinna and Carlos for a Mexican lunch. Then after coffee we went to a park where there was music and dancing. By that time Carlos, who was already pretty grown up, 15 I think, excused himself and went off somewhere else, probably to spend time with his friends. Here we came out of the underground. Some pictures where we walked along. Peter with Corinna and Carlos at the Mexican place where we had lunch. I want to start rebloggen some blogs from our visit to Berlin just one year ago! Looking at all these pictures brings back memories. It had been Daniel’s birthday and he invited all his family for lunch in Alt-Tegel. Some more pictures of that family lunch I’ll publish in another blog. This sign we saw outside a charity shop in Rubensstrasse. We went with Martin to U-Bahnhof Rathaus Schoneberg. Quite a collection close to where we came out of the underground station. View down Innsbrucker Strasse towards Bayerischer Platz. It was a rainy day. None the less we walked passed the duck pond through the Stadpark towards our destination: Die Pusteblume Cafe!